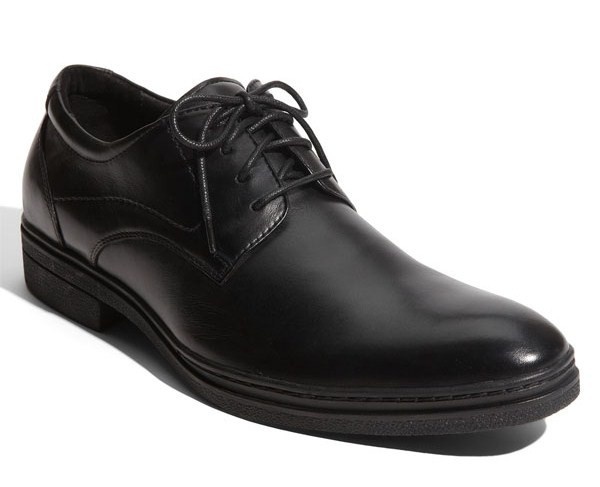 Kenneth Cole New York keeps it classic with these new ‘Good Oh Time’ oxfords. Shaped from smooth, supple leather, the black lace-up shoes feature a rubber sole and gel-cushioned insole for extra comfort. Perfect for any number of business or social occasions, the shoes are available online through Nordstrom. This entry was posted in Footwear and tagged Good Oh Time, Kenneth Cole New York, New York. Bookmark the permalink.